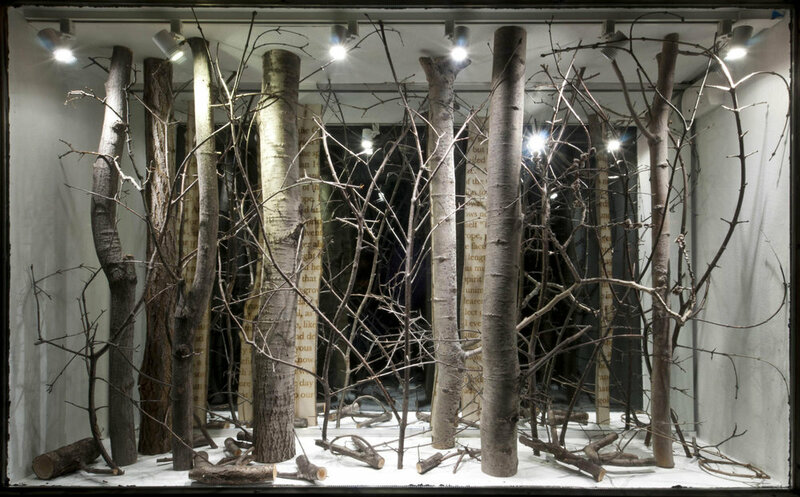 Walking: The New Forests of Thoreau's America Portals on Western installation at College of Visual Arts, St. Paul. Wood, cut wood, reverse etched text, and mirror. Installation in 6 storefront spaces. Spaces are 30" x 60" and 30" diameter. 2012.